Time flies so fast but I finally got the chance to play with this fabulous set! 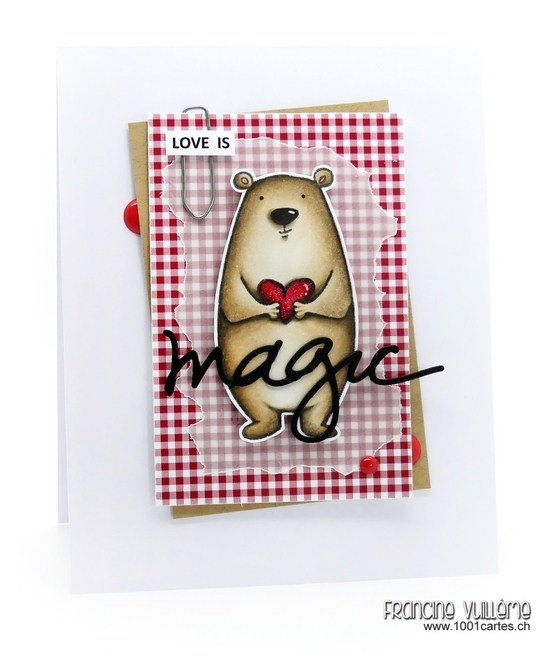 The bear is super cute and can be used for many occasions (not only for love-themed cards). I colored him then cut him out with scissors. I went for a clean and simple design that looks like a scrapbooking layout. I played with layers of scrap paper: kraft cardstock, patterned gingham paper and vellum. I adhered them on top of each other with foam pads for more dimension. I also added a few enamel dots and a paper clip for more interest. The "love is" sentiment was computer generated. The "magic" word was die cut from black cardstock. 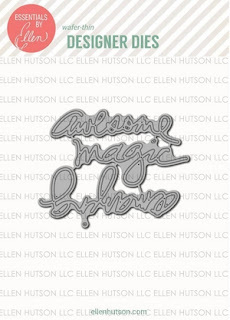 The word is from the Positive Word die set from Ellen Hutson too. I love the font used in this set. Thanks for visiting my blog and see you soon again! I love all the layers on this card, Francine! Your bear is so cute and I love how he pops against the vellum and red and white gingham papers! 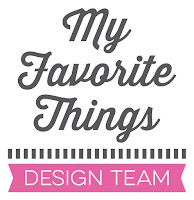 Love this die cut sentiment, too!